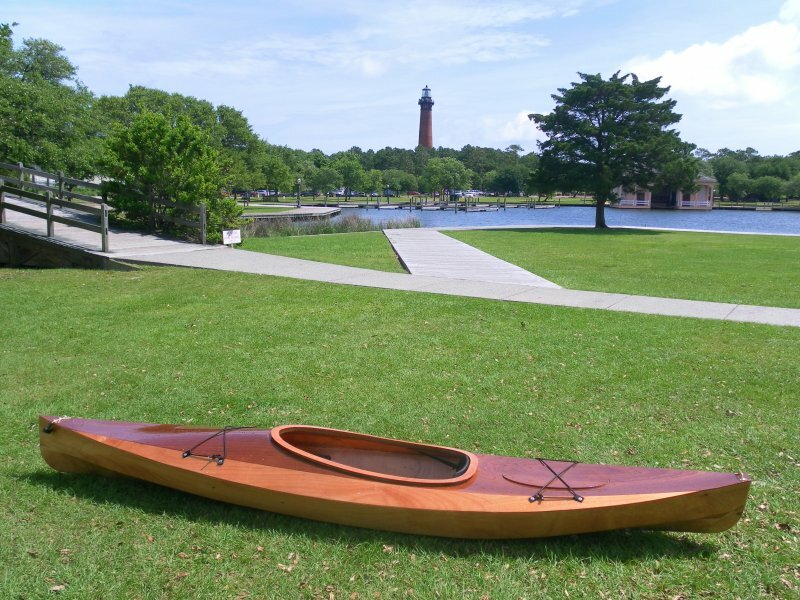 12′ Chesapeake Light Craft Wood Duck kayak. 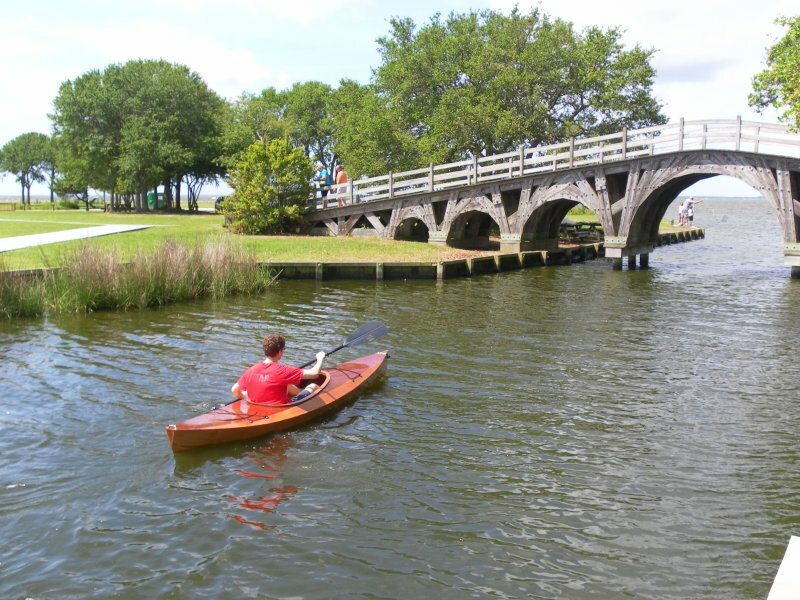 Launched at The Whalehead Club at Corolla, NC in June. Constructed by Jeff Loomis between January and June, 2013. Full name is “How much wood could a wood duck duck if a wood duck could duck wood?”, but shorted to “How Much?” as that was the question most often asked during construction: “I want to build a boat”, “How much?”… “I’ll need some space in the basement”, “How much?”… “I’ll be making a bit of a sawdust mess”, “How much?”… “The varnish is going to smell somewhat”, “How much?” and so forth :-). 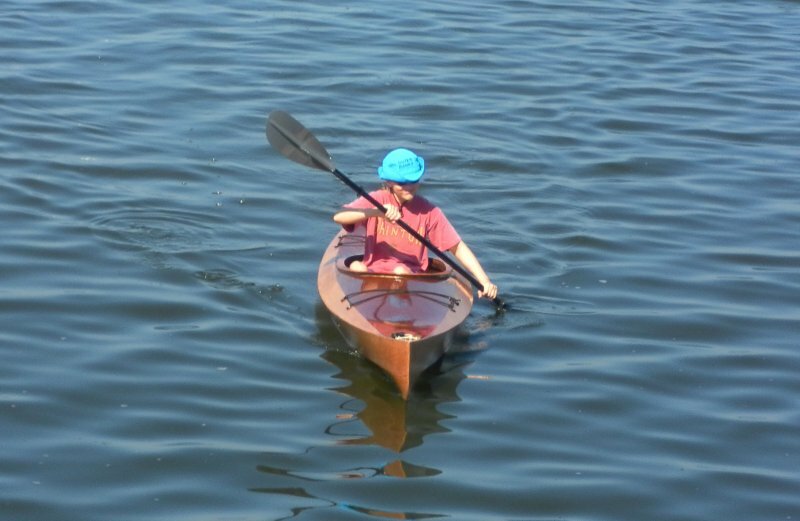 I very much enjoyed the Chesapeake Light Craft “stitch and glue” construction process. I am certainly not a wood-worker, my last major wood working project was in the 8th grade wood shop about 35 years ago, but this process was quite straight forward and I felt like I did a decent job with this boat and can’t wait to do another and apply what I have learned and maybe even make the next one a bit better.